Cameron y Tyler Winklevoss saltaron a la fama porque alegan que el dueño de Facebook les robó la idea, historia retratada en el filme "The Social Network". The Winklevoss twins came out of a lawsuit with Facebook founder Mark Zuckerberg around $65 million richer, and are now working on bringing a mainstream Bitcoin exchange to the United States. Bitcoin is a virtual currency that lacks regulation, which is part of its allure, but the Winklevosses -- Cameron and Tyler -- believe a bank an regulated exchange may be what's needed to take Bitcoin to the next step, according to the New York Times. The twins have been working on the exchange since 2013. The new Bitcoin exchange, dubbed Gemini, may open in the next few months and is something the Times calls a "risky bet," because virtual currency can be hacked and not everyone takes the currency. Bitcoin was created around 2009 reportedly by Satoshi Nakamoto, and can be stored on "decentralized database" and basically traded by anyone. One year earlier, in 2008, the Winklevoss twins settled for around $65 million in their highly publicized legal battle over the ownership of Facebook. They have also been heavily investing in the currency which was recently dropped in value. Exchanges haven't had the best track record. The first Bitcoin exchange, Mt. Gox, lost hundreds of millions of dollar and declared bankruptcy. Another exchange was hacked and caused Bitcoin values to plummet. The Winklevosses also invested in a company, BitInstant whose chief executive was arrested for money laundering in 2014, a move that caused them to re-evaluate their Bitcoin tactics and realized they would have to create their own exchange. Gemini is now taking up several desks at Winklevoss Capital offices where staff is working on creating a "security infrastructure and trading engine," which is even more complicated than it sounds. They are working on a test model and hope to win approval from the state's Department of Financial Services. So far, it's secured a rarity for Bitcoin companies -- a bank account with a U.S. bank. The largest Bitcoin exchanges are in China, Hong Kong, London and Eastern Europe. 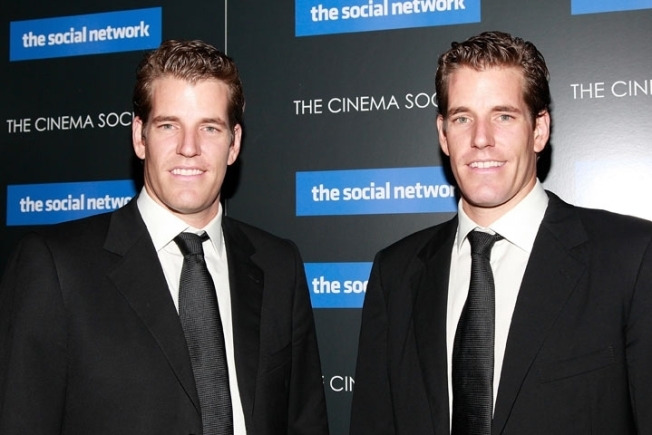 However, the biggest problem for the Winklevoss twins isn't the security aspect of creating an exchange, which is significant. Instead, it's if Bitcoin continues to decline in value and the public loses more confidence in virtual currency.